I set off for Hangzhou and Money2020 China as a modern-day Marco Polo, intent on coming back home to regale the subjects of Her Majesty with fanciful tales of a far-away place where people use their mobile phones to pay for things and nobody uses paper money any more, much as Marco Polo himself would have regaled the inhabitants of Venice with his tales of (as it happens, the same) far-away place where people used paper money to pay for things and nobody used copper bars, cowrie shells or coins any more. Hanging with Tracey Davies, the President of Money2020. My travels were a lot easier than Marco’s because for one thing I was able to fly directly to Shanghai whereas it took him years to get there and for another thing because everyone (and I mean everyone) has a smartphone, and their smartphones all have translation applications that convert spoken English to written Chinese and spoken Chinese to written English. My first experience of this was at Shanghai airport when the driver meeting me spoke into his phone and then presented me with a screen saying “do you know this person?” and holding up a sign with “Chris Skinner” on it. Naturally, I took the phone and said into the microphone “no, I’ve never heard of him and I’ve never read any of his books either” but it was too late as the driver had just seen him in arrivals. My first step on the road to amazing my peers back home was to get a working AliPay or WeChat account. I’d forgotten my AliPay password so I decided to sign up for a new account. Unfortunately you can’t get an AliPay account with a UK phone number. An American phone number, yes. An Australian phone number, no problem. A Burkina Faso phone number, Bob’s your uncle. As it seemed like a UK phone number was beyond the pale, I decided to get WeChat instead. I activated my WeChat money function by linking my account to a couple of my credit cards. None of my cards worked in this context, but it didn’t matter because once the money function is activated you can just give people cash and ask them to send the same amount via WeChat, thus topping up via a system of human Qiwi terminals. One of the women that kindly agreed to do this for me, on being handed a couple of RMB 100 notes, told me that it was the first time she’d touched paper money for at least a year. Woot! 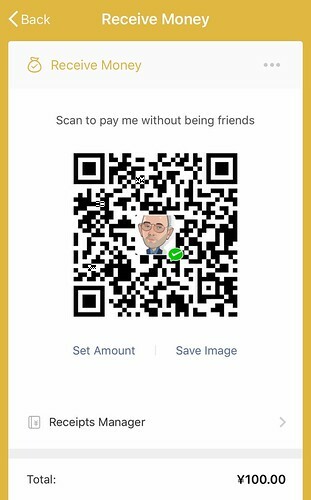 You can pay me using WeChat right now if you want to. 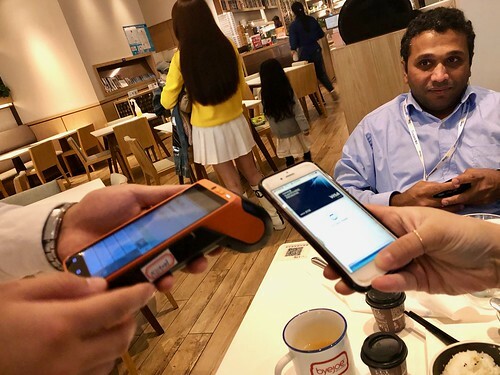 Actually, it turns out that my stories of mobile phone payments are almost completely uninteresting – I wish you’d told me before, frankly – because everyone has now heard about WeChat and AliPay, everyone understands the transformational nature of their payments platforms and everyone has seen the ubiquity of QR codes. The one time we tried to use NFC, ApplePay and that totem of Western Civilisation, the iPhone (which is, of course, made in China) to pay for something, it didn’t work. 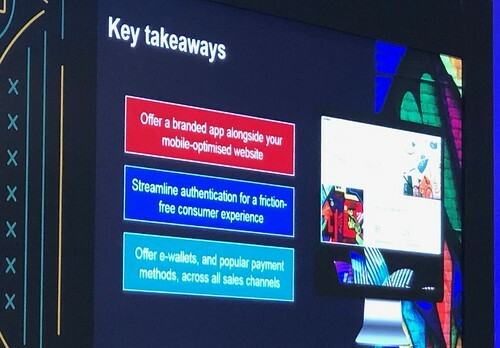 App and pay, frankly, is beating tap and pay. 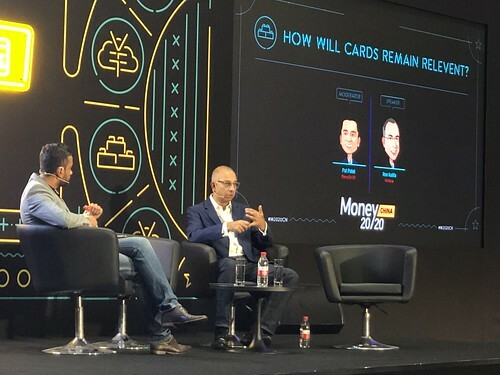 As for the conference itself, I particularly enjoyed Worldpay vice-chairman Ron Kalifa’s fireside chat. He said that in general people were underestimating the impact of open banking and I am certain that he is right. He also presented Worldpay’s annual report on payment trends worldwide, which was very interesting as you might expect. 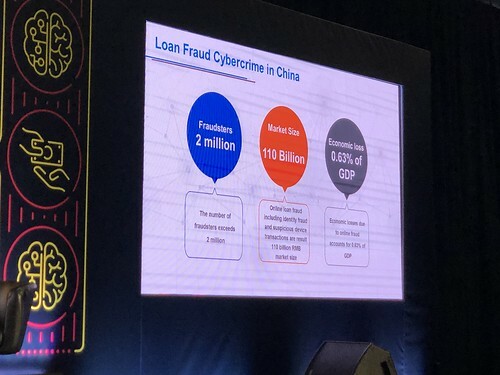 One of the factors central to the evolution of payments is security and so I always enjoy presentations around fraud. In China, these have scary large numbers attached to them, but you have to take into account the size of the Chinese economy. According to the back of my envelope, Chinese cybercrime losses are lower than in many other countries. 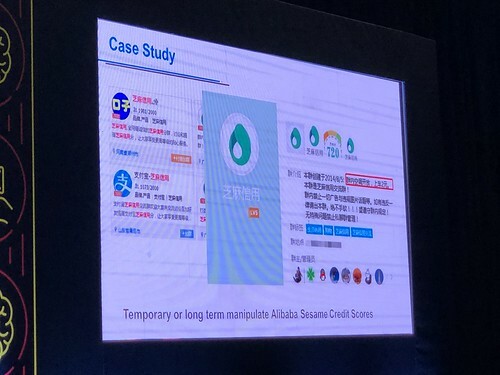 Given the widespread use of scores of one form or another to determine trustworthiness it is no coincidence that China sees a rise in frauds relating to the manipulation of these scores. Without commenting on the benefits or otherwise of such models (most Brits, myself included, can only think of Black Mirror when social scores are discussed) it is worth making the point that preventing “gaming” of these scores while preserving individual privacy means dealing with paradoxes that might well be resolved through the use of cryptographic techniques that have no conventional analogues and are therefore difficult for policymakers to bear in mind. 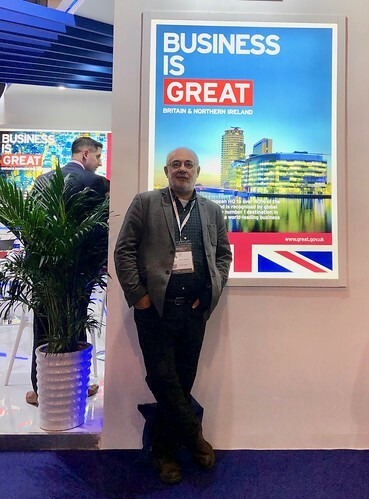 Most of what I found thought-provoking, both in the presentations and the water cooler discussions, was to do with business models rather than new technologies. The new technology that fascinated me most was the toilet in my hotel room. The lid opens automatically when you walk into the smallest room and once you have settled onto the warmed and padded seat you are faced with a control panel (shown below) that gives access to a variety of functions, all of them wonderful. 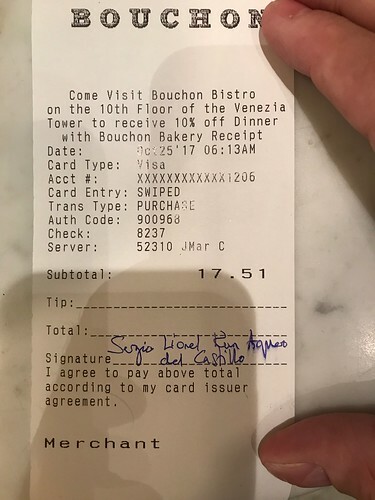 Next time someone tells you that a cashless economy is as likely as a paperless bathroom, tell them that I’ve experienced both, and they are both awesome. The new business models emerging in a regulated, platform-centric, dynamic market are what we should be studying. We might choose to implement some of these models in a slightly different way taking into account the varying cultural norms around security and privacy, but the idea of separating payments from banking and then turning payments into platforms, and then using these platforms to acquire customers at scale for other businesses is certainly very interesting. These new models, of course, centre on data and value-adding using that data. When people pay for everything with their mobile phone, they lay down a seam of data that is waiting to be mined. Despite this, the convenience of the mobile-centre platforms is so great that people are clearly willing to put privacy concerns to one side. 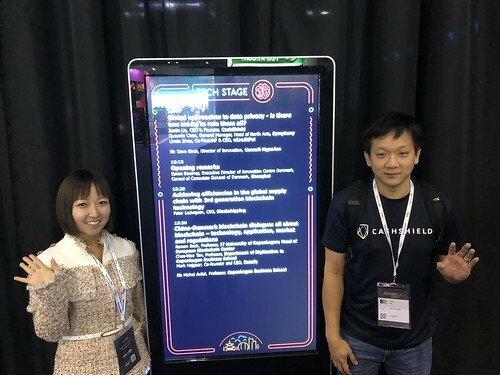 I chaired a great session on privacy with CashShield, Symphony and eCreditPal with, I think, gave out a very comforting message: if you build services with privacy in the first place, then actually complying with GDPR and other global regulations is actually not that much of a problem. One more thing that struck me about the context for these developments that it seems to me that China is making its e-money regulation more like the EU’s. 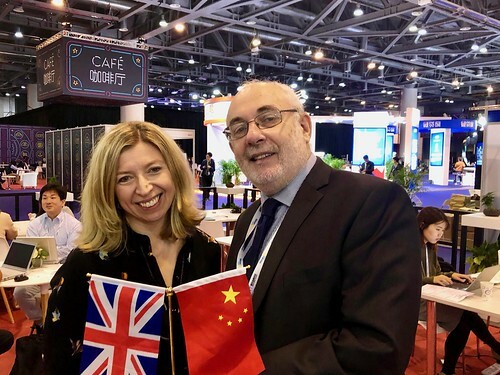 With an EU electronic money licence, the organisations holding the funds must keep them in Tier 1 capital and are not allowed to gamble the customer’s money, whereas in China there was no such restriction. Now the People’s Bank has said that from January 2019 the Chinese operators will have to hold a 100% reserve in non-interest bearing deposits at a commercial banks, a decision that will likely cost the main players (Tencent and Alipay) a billion dollars or so in revenue. Anyway, a big thank you to the Money2020 for giving me the opportunity to take part in this event! 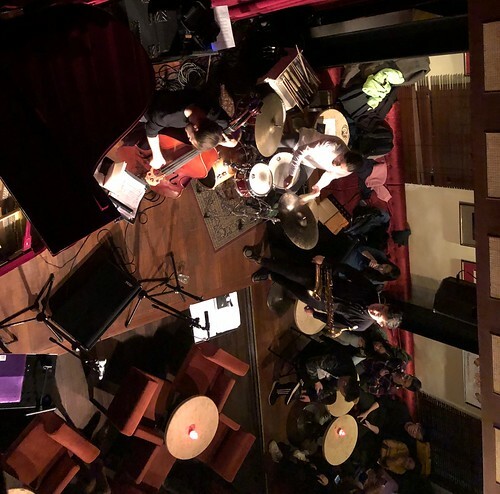 It was lovely to meet so many new people and see so many new perspectives, even if I did have to spend some of the time in a jazz bar. 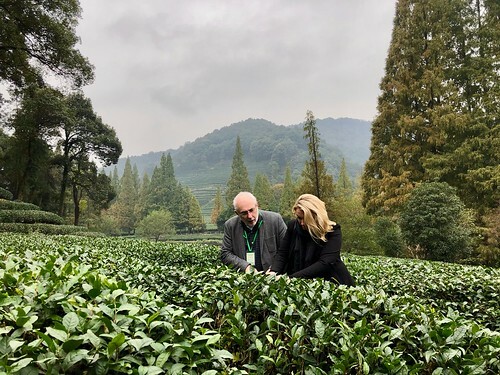 All in all, I wouldn’t change my job for all the tea in China, much of which you can see in this picture of the plantations outside Hangzhou. Which emergency service? Digital Champion please. Yet more speed camera misery in our house. 50 in a 40 at 12.30pm on a deserted stretch of well-lit road near Guildford. But hurrah! A form arrives saying that as a means to rachet up middle-class motoring taxation a notch further, my good lady wife can opt to go to on speed awareness course and thus get off of the points. We fill out the form — name, address, driving licence number and so on (every single field on the form was something that they already knew) — and send it back. A couple of weeks later, we get another letter, saying that they have not yet heard from us and that if they don’t hear from us then my good lady wife will be fined and “pointed”. So I set about filling in the same form yet again. Why can’t I do this online? 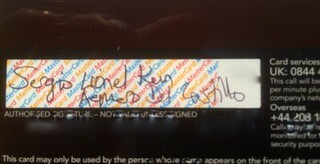 The missive from the “Safety Camera Partnership” has a unique reference number, after all. There’s no phone number on either the form or the covering letter, so they clearly don’t want us to phone up, but there is a URL at the bottom of the letter so, hurrah, I assume I can deal with the issue online. But, of course, there is nothing remotely transactional about the site. You can’t fill out the form online (and I’ll bet a pound to a penny that on the twentieth anniversary of the founding of Netscape on 4th April 2014, you still won’t be able to) although you can, in a nod to the 21st century, download the forms to fill out. Digital Britain at its finest: a pretty web site that cost zillions to build and but unable to execute any useful work at all. Isn’t this the sort of thing our Digital Champion is supposed to be doing when she’s finished teaching a fifth of the population to read so that they can use websites? Not a cryptocurrency. End of.